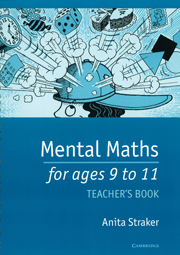 Develops pupils' mental skills in a variety of inventive ways. This little book contains the answers to all the seven Mental Maths books by Anita Straker. 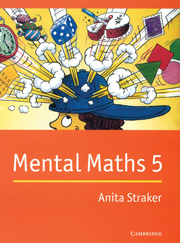 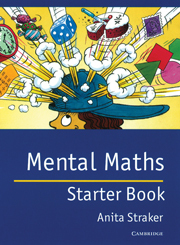 The answers to Mental Maths Starter Book and Mental Maths 1 through to 4 are also given in the accompanying teacher’s books, the answers to Mental Maths 5 and 6 are given only here. 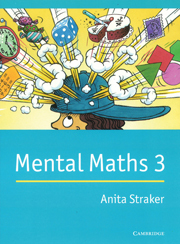 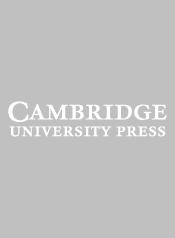 However, for the convenience of teachers who may be using two or three of the books at the same time to suit the needs of their more and less able pupils, all the answers have been collected together. Answers to Mental Maths 6.